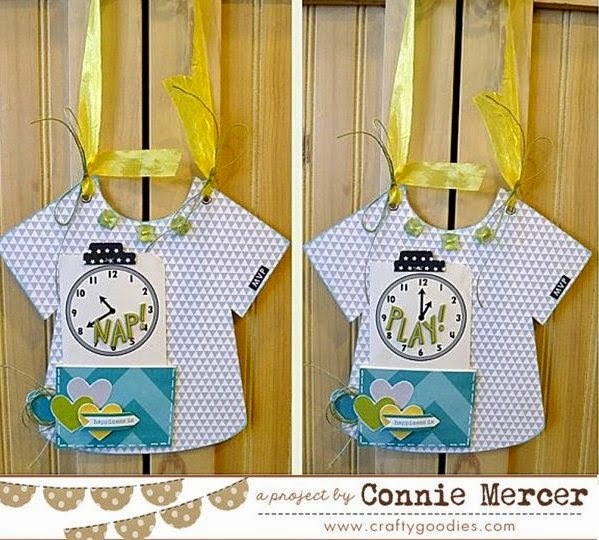 crafty goodies: Try It Tuesday~Telling Time with Bella Blvd. and Clear Scraps! Try It Tuesday~Telling Time with Bella Blvd. and Clear Scraps! 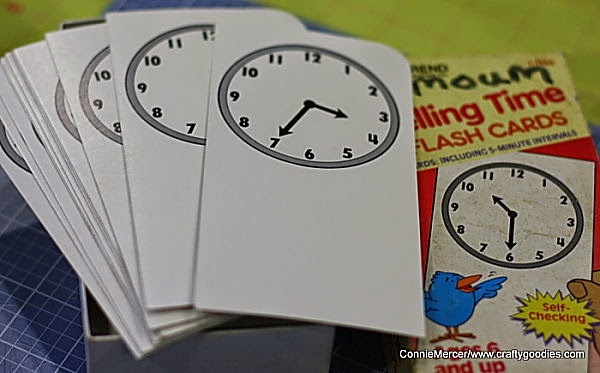 Remember these "Telling Time" Flash Cards (from about 4 years ago) ~ I still think they are very cool and love to add them to projects. I used the chipboard "Overall" piece from Clear Scraps and covered it with Bella Blvd. pattern paper, to make a door sign for a toddler's room. The pocket holds the "time" cards~ Nap Time or Play Time. Chipboard "shirt"~ Clear Scraps "Overall Album"
Those 2 projects are just so much fun. Now if only the baby will follow the times. LOL. Gosh....what an adorable project! And great use of those flashcards! How CLEVER! Love this idea & they look really, really lovely - Lynn's right. LOL!! It might teach those babies how to read!!! Thanks for joining us at LESSology!! Ohhhhhhhhh these are FABULOUS!! What a great idea! I love love love them!!!!!! THAT is super cool! I came across a bag of goodies the other day and thought of you and all your vintage tricks! 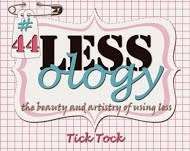 ROCK STAR take on the LESSology Challenge! Hugs!